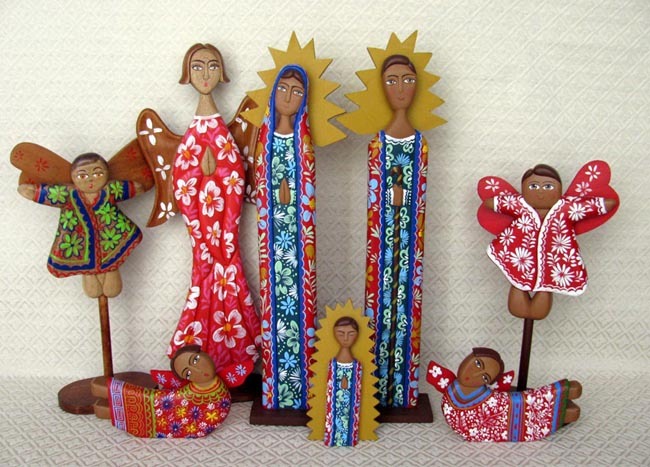 This Nativity scene includes a tall Holy Family with starburst halos. The Holy Family is joined by a tall female angel dressed in red robes, two male angels on pedestals, and two male flying angels. Joseph and Mary measure 17 inches tall.